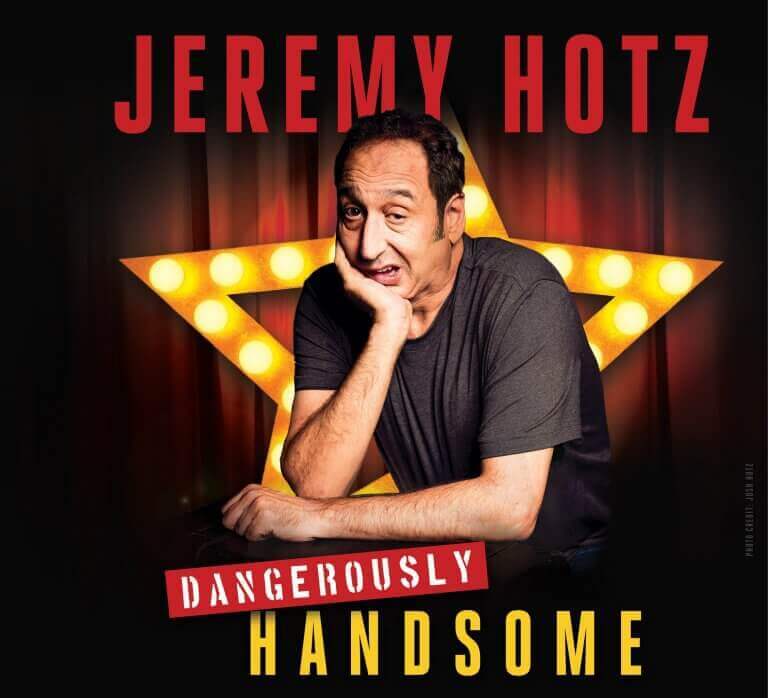 Known for his astute observational comedy and charming good looks, stand-up comedian Jeremy Hotz announced today that he’ll hit the road in 2019 with his brand new DANGEROUSLY HANDSOME TOUR. Having sold out his last national tour, International Man of Misery three years back, Hotz returns with his constant companion "Shackleton the Wonderdog”, the world’s smallest service animal. Don’t let Hotz’s good looks fool you, he’s still “The Master of Misery”, finding the miserable in the world and turning it into laughs is what makes him tick. But don’t overlook his charming smile and God-given good-looks – it is a winning combination that has audiences falling in love with Jeremy and fans constantly throwing themselves at him. With an impressive career to date, Hotz’s resume includes performances on The Late Show, and fiveappearances on The Tonight Show. He appeared on Comedy Central where he featured in his own stand-up special, and is a talented actor with numerous film and TV credits in addition to writing and performing on the critically acclaimed “The Jon Stewart Show”.